GROUP | EAS AUTOMOTIVE LTD.
was established in September 2006 with the aim of providing better services to our existing customers. With the newly developed B2B System and useful Security Stock, we are able to assist in optimizing your business flow. 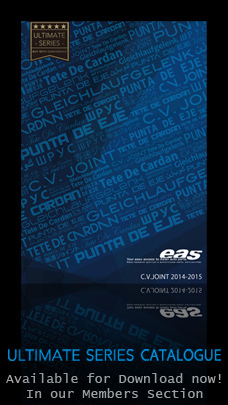 Is a key part of the support from EAS Europe. This service enables EAS to handle increasing volumes of orders and exceed customer expectations by making products readily available. We currently have 5 brands available in our warehouse. More brands will be available soon. With our B2B system you are always just a click away from our stock. No matter where you are, you can access our system, search for parts, and place an order with your unique ID and Password. was established in January 2010 as a result of our strong desire to develop our Korean Product range and to provide a better logistics service. We are now fully capable of bringing you the best from Korea as well as from Japan. Enables us to ease processes associated with distribution, including Consolidated shipments, Receiving goods, and Packing goods. With our warehouse EAS can satisfy the desires of customers, and at the same time allow customers to optimize their individual distribution channels. Our parts search website has been developed with the mission of supporting our customers who are looking for Korean spare parts. This system is linked to our database server in Korea 24/7. was established in April 2012 to enable us to source the best quality products locally for your needs and to minimize your purchasing costs. Through our extensive supplier network and our global locations, we can now offer valuable new business solutions to our customers. EAS China facilitates direct communication between clients and local Factories. We arrange visits to manufacturers. There you will be joined by our bilingual staff who will make sure all your requirements are met. There are a vast number of suppliers in China. We listen to our client’s feedback and find suppliers that match your individual needs. Once we find the perfect fit for your business, we make sure that you get the best advice all the way to your Port of Destination.